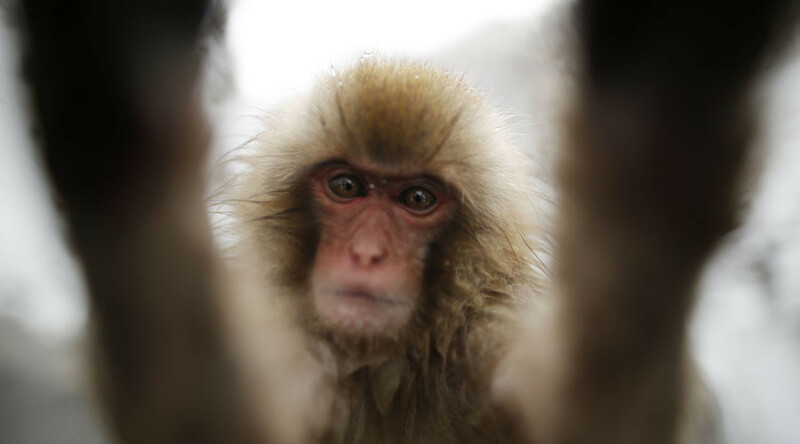 The animal rights group PETA has filed a suit in a US federal court contending that copyright for viral selfies made by a macaque should belong to the animal. We take a look at other four-legged and one-beaked photographers missing out on their royalties. The People for the Ethical Treatment of Animals (PETA) group says that the macaque named Naruto – who probably set the trend for animal selfies several years ago – should receive all proceeds from the images that made the animal world-famous. The macaque – and not the British nature photographer, David Slater, who positioned the camera – should be declared the copyright owner, contends the lawsuit filed on Tuesday in a federal court in San Francisco. The money received from the now famous images should benefit the monkey and fellow macaques living in an Indonesian nature reserve, PETA activists claim. The photographer himself – or should we say the owner of the camera, in this case – is exploring legal action against some of international outlets that have been distributing the macaque-selfie images without permission, claiming that, since they were taken by an animal rather than a person, no one allegedly owns the copyright. According to an updated compendium of US Copyright Office policies, the authority can only register copyrights for works produced by human beings. With no known precedent giving copyright to mammals and birds, no matter how cool the selfies they may have snapped may be, the animal world is probably missing out on a lot of money – particularly some cuties in Australia. An Ozzie marsupial – the quokka – has become an international web sensation. The beady-eyed animal, which is the size of a domestic cat, has been dubbed the “happiest animal in the world” by online community. Many are now craving to go to Australia, not only for koala-hugging and kangaroo-watching, but also to snap a pic of the furry grinning quokkas – or even better to let them do it themselves. A fluffy royal albatross chick did just that – making use of a GoPro camera secreted near its nest. The curious baby bird contributed to the collection of animal-selfies taken with humans’ gadgets, going all touchy-feely with the device. While some images come from cameras sneakily positioned by humans, others are true animal-selfies taken with cameras sneakily stolen or borrowed from the two-legged photographers. A seagull from a Spanish island recently became an internet hit after filming the Atlantic coast, and then itself, with a GoPro camera stolen from a German tourist. A 12-year-old male lemur living at a London zoo had probably become tired of thousands of visitors taking mediocre pictures of him when he decided to show them how to do it better himself. Grabbing a camera from a zookeeper during feeding time, the wide-eyed poser won hearts globally. As it turns out, no duck-face is needed! And they can photobomb too! This squirrel decided that it, and not the couple, should be the centerpiece of this vacation photograph. Made it really memorable, didn’t it? As it turns out, animals not only enjoy taking photographs, but also like seeing the result too! A gorilla at a sanctuary in the Louisville Zoo could not take his eyes off photos of other gorillas shown to him by a visitor on a smartphone. And then over six million humans on YouTube watched the cute gorilla looking at photographs of other gorillas – so who gets the copyright?